Things you can’t miss in Westport! Westport was once a mining town but it’s now better described as a laid-back surf town with a few awesome walks, bike trails and wildlife. You’d be forgiven for wanting to stick around awhile in Westport, as there are plenty of things to do even on a rainy day! However, we know you don’t have all the time in the world to enjoy Westport so we’ve kept this Westport must-do list super concise listing only the things you really can’t miss in Westport! 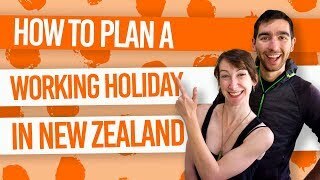 If you do plan to stick around for a few days, then check out these backpacker hostels so you can save money on accommodation. And don’t forget to check out our complete guide to Westport with some more awesome things to do in Westport. 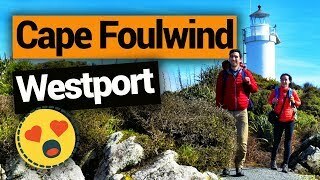 Described one of New Zealand’s best short walks by the Department of Conservation, you can’t miss the Cape Foulwind Walkway! Not only will you get some awesome rugged coastal cliff scenery, a cheeky look at a lighthouse and probably a few weka sightings, you’ll also get an awesome view of a seal colony. There’s so much incorporated in this hour-long one-way walkway that you’ll have no trouble walking back the same way. Location: One access is at the car park at the end of Lighthouse Road just off State Highway 67A. Alternatively, continue on State Highway 67A to the Tauranga Bay car park to start at the other end of the track (closer to the seal colony). 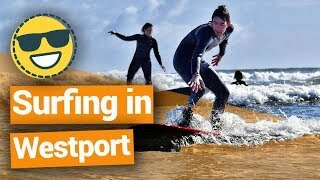 The North Island often takes all the glory when it comes to surfing in New Zealand but Westport is definitely a top surf spot in the South Island. The surf breaks at North Tiphead are ideal for beginners and novices alike. There are several surf schools in Westport that will be pumped to take you out on the water. 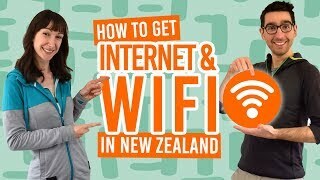 Although there are plenty of awesome bike trails around Westport (just check out Westport – Guide for Backpackers for more details), the Kawatiri Trails can be accessed right from town. These grade 1-2 trails wind their way partly in forest and partly along North Beach for a variety of scenery. Location: Access is from Beach Drive or the junction of North Tiphead, Coates Street and Craddock Drive. 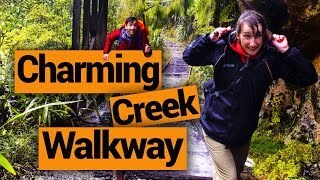 For those of you with your own transport, it’s worth taking the 45 minute drive from town to the Charming Creek Walkway. This is another top short walk from the Department of Conservation that follows an old railway line (along with all its relics) to the impressive Mangatini Falls. The walkway takes about 3 hours to complete one-way, however, the walk to Mangatini Falls and back makes a popular and shorter option. Alternatively, you can bike the trail as well. Location: Access from State Highway 67 in Ngakawau. How awesome does that sound? Grab some marshmallows from the Westport New World, something to light a fire with, and head down to North Beach at night! The beach is covered in driftwood asking to be burnt! You’ll probably find that you’re not the only one there so join the fire-starters and share stories around a responsibly-sized bonfire. Location: Access North Beach at the end of Beach Drive near the campsite.